Има ли желаещи за летни приключения? Отново предлагаме възможности за млади хора между 18 и 30 години да се впуснат в авантюрата, наречена доброволчество. 16 volunteers (4 from each country) will come 8 days before and stay 2 days after the festival so it will be a 15 day short term EVS, during which coordinated by our EVS coordinator and organizers of the festival, volunteers will help in preparation of the festival, during the festival, and 2 days after with the closing. 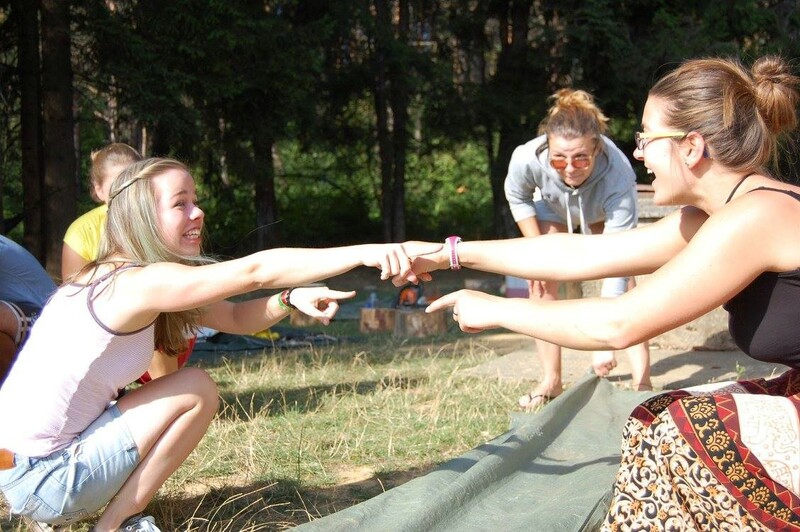 Volunteers will stay in tents in a camp in the beautiful natural surrounding of rural mountain region of Lika. И както си знаете, желаещите да се включат в този проект нека изпратят CV и мотивационно писмо на evs@aksels.bg . As we are in the process of rebuilding and redecorating the surroundings of our center in order to make it more functional and user-friendly, volunteers’ tasks will be mainly woodwork, building a wooden fence around the center, building wooden furniture and decorative material. 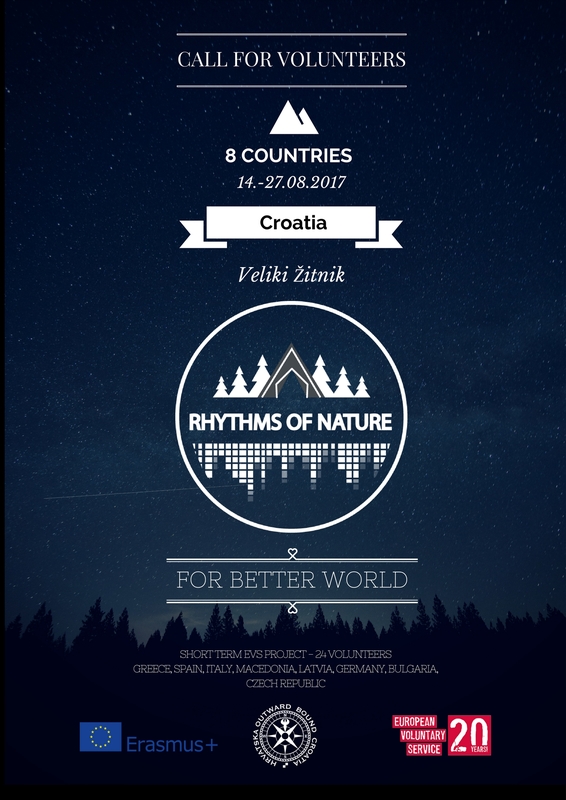 Also volunteers will experience living a healthy, active lifestyle in harmony with nature, as our educational center is located in a small village in the region of Lika and surrounded by untouched nature. И отново, желаещите да се включат в този проект нека изпратят CV и мотивационно писмо на evs@aksels.bg . Готови ли сте за новите летни приключения? Искате ли да пътувате? Обичате ли да сте сред природата? Имате ли отношение към опазването на природата? А да се срещате с нови хора и да учите нови езици? Този ЕДС проект е за вас! От 14 до 27 август 24 доброволци от България, Германия, Гърция, Чехия, Македония, Латвия, Испания и Италия ще учатват в ЕДС проект във Велики житник в Хърватска. – да ги насърчи да бъдат активни граждани в техните страни и др. Повече информация може да се свържете с нас или да прочетете тук. Как да кандидатствате? 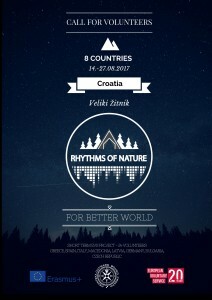 Попълнете EVS camp_Rhythms of Nature_Application form и ни я изпратете на e-mail: evs@aksels.bg до 1 юли 2017 г. 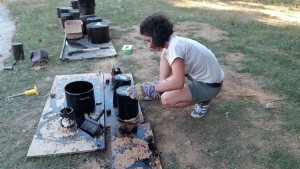 The EVS project comprises conservation of cultural and natural heritage through creative industry. We wish to create additional opportunities for young people in order to offer them a chance to gather valuable working experience and get to know the aspects of cultural and natural heritage in detail. 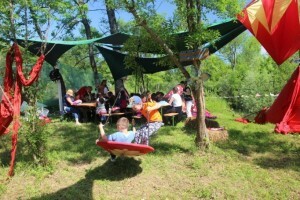 Our organization RIS Mansion Rakičan is situated in a mansion that dates back to the 15th century. Despite regular maintenance work the mansion is in need of extensive reconstruction (inside and outside work). In addition, a nearby chapel will also be the object of reconstruction, as it has lost its original splendour and charm and is an integrated part of the mansion. The project will involve two young volunteers aged from 20 to 30 years who have entered or wish to start a formal education regarding architecture, landscaping, design, etc. The project will provide volunteers with the opportunity to be actively engaged in society in order to further their creativity and ingenuity through their own ideas regarding the reconstruction of the mansion. They will gain new knowledge and skills and gather practical experience that will be useful in their future carriers. During the formation of the project idea, volunteers will have the opportunity to experience the culture of our region, our habits, language, cuisine, etc. 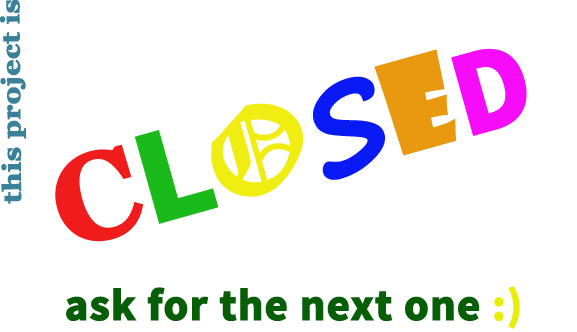 A working opportunity abroad, whether it is a long-term or short-term stay, represents a valuable experience. 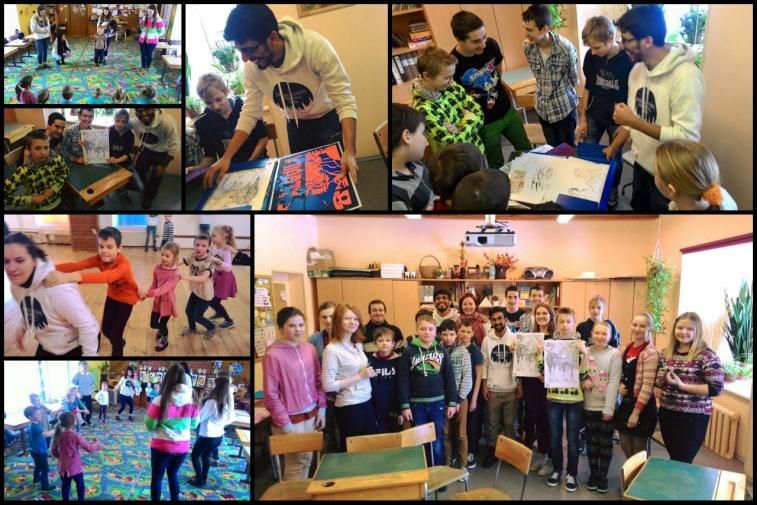 Therefore, we will encourage young people to engage in such programmes and at the same time try to create the appropriate conditions and content so young people from other countries will be able to join the Slovenian EVS programme in the Prekmurje region. 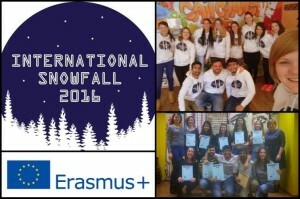 Предлагаме възможност да се включите в краткосрочен ЕДС проект “INTERNATIONAL SNOWFALL 2017” в Латвия. Чудесна възможност за 2 млади доброволци да участват в организирането и провеждането на ЕДС проекта“INTERNATIONAL SNOWFALL 2017” в Латвия, Vecpiebalga, в периода от 12.02.2017 г. до 15.03.2017г. Вместо снега, с който хората са свикнали, ще има истински международен снегопад от доброволци, които ще предизвикат промени не сред природата, а в живота на местните хора. Младежи от 6 държави ще организират международен месец . Description of the project: In February/March 2017 in Vecpiebalga county there will be happening something new, unprecedented. 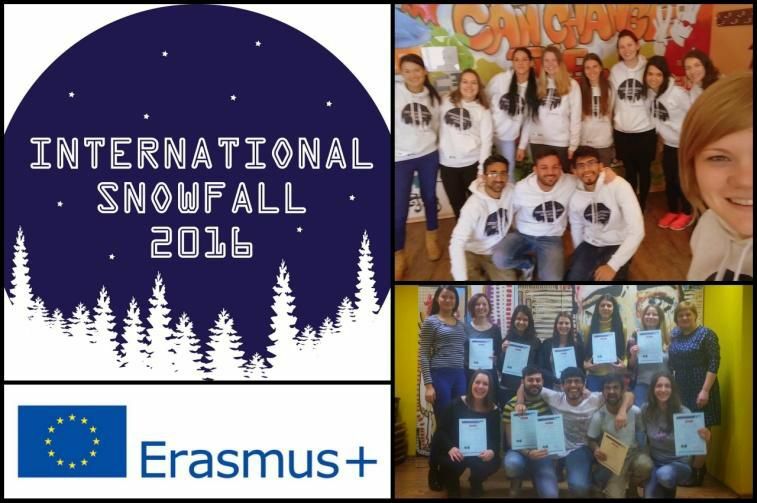 Instead of the snow we are used to, there will be happening international snowfall, which will not make so many differences in nature, but in European volunteers’ and local people’s lives. 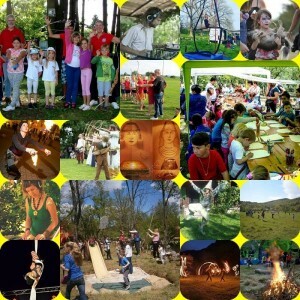 To Vecpiebalga county there will arrive 10 or 12 volunteers from 5 or 6 different European countries to help to make international month for local youth, children and people in general. 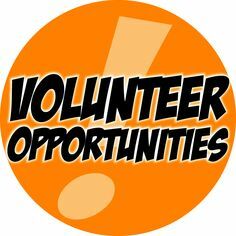 – to promote volunteers self-development, to provide voluntary work and both side learning process. The project will have positive impact to local society, and specially to youth, by creating different activities and workshops, sharing experiences, opening minds for different cultures, traditions and views, breaking stereotypes and experience differences and similarities between different countries. It will be opportunity for European volunteers and youth from Vecpiebalga region share their views about Europe, European Union, European citizenship, European values and cultures. 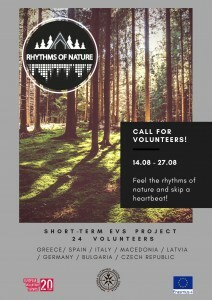 The volunteers will stay in Latvia for 1 month. В проекта ще участват и доброволци от Норвегия, Испания, Кипър, Португалия, Италия, Гърция и Латвия.